Ask Me Why was first released as the b-side of The Beatles' second single Please Please Me in 1963. Later that year it appeared on the album of the same name. It was John's original idea and we both sat down and wrote it together, just did a job on it. It was mostly John's. Ask Me Why was greatly influenced by Smokey Robinson and the Miracles – the guitar motif that introduces the song is derived from their 1961 song What's So Good About Goodbye. The Beatles recorded an unknown number of takes of Ask Me Why during their 6 June 1962 debut session at Abbey Road. Unfortunately EMI considered the songs to be of little consequence, and later destroyed the master tapes. They remade the song in November 1962, getting it right in six takes. Much of the day was spent perfecting Please Please Me; Ask Me Why took comparatively little time to record. Well, do you know of any place where we can hear the June 1962 version of ‘Ask Me Why’? Any old acetate living somewhere? I don’t recall reading about this before. Thanks. I believe the tape was destroyed/erased by EMI before The Beatles became successful. The Beatles definitely recorded it though, according to the studio paperwork. See Mark Lewisohn’s Chronicle or Sessions books for more info. 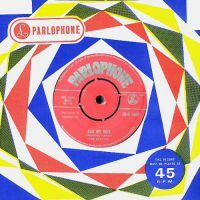 To these ears, the version that appears as the B-side of Please Please Me IS the June 1962 version featuring Pete Best. The drumming sounds EXACTLY like Pete Best. George is also singing backing vocals. Listen to it for example at 0:18 where you can hear two voices (George’s is the lower one) behind John’s lead vocal. Thanks for that – I’ve updated the page now. The Beatles also had a later song called “Tell me Why”. Ask then tell, just brilliant. Who is playing lead? The guitar sounds like John’s Capri. Lead sounds like George’s style. Too jazzy for John. John plays acoustic guitar, and George his Gretsch electric. There’s also a live version of this on the Star-Club tapes from December 1962. Listening to the 2009 track tonight I heard two rhythm guitars, one in each channel. One must have been overdubbed. What you are hearing is the same guitar: John’s Gibson Acoustic-Electric. On the left channel is the sound of the guitar plugged to an amplifier, while on the right channel the sound of the plectrum strumming across the strings leaked into John’s vocal microphone. It’s a nice, if unintended, stereo effect. As John often used to say when a new song was needed: “How do we go from here”, Ask Me Why begins where P.S. I Love You ends. The ending of P.S. I Love You is the beginning of Ask Me Why. To me the feel of the song reminds me of German popmusic of that time. It is one of my favorites. I hear two rhythm guitars and a lead. I hear an electric rhythm and an acoustic rhythm. Both John perhaps? Another horror. I love youuuuuuuuuu whoohoowhoohoo. Yuck. The original version of the One after 909 should have made the cut. Although I was around for the start of Beatlemania in the US, I never heard this song until much later because the original Please Please Me/Ask Me Why single didn’t sell, and the version of the PPM single that finally did sell had From Me to You as its B side. It wasn’t on Vee Jay’s “Introducing the Beatles” either, which I owned (although it was on Capitol’s near-equivalent “The Early Beatles”). I don’t think I ever even heard AMW until I bought the 2009 box set and finally had a copy of the British Please Please Me CD. Paul tries a walking bass line in the middle 8 of this one, and in middle 8 of “A Taste of Honey” as well. I don’t find it very effective in either of these songs, but man he sure uses the same idea to great effect later on “All My Loving” and “Eight Days a Week”. I have always loved this song. One of the first Beatles songs I learned how to play. John’s usage of his falsetto range is awesome. As with most of his songs, he controls the emotion and intensity of his voice so well. You can certainly hear how the Beatles evolved from this song. The guitar rhythm, harmony phrases, and stop and go breaks which were expanded upon and perfected on later songs. I also love how the last resolving chord is played! That augmented chord that leads into the bridge could very well have been inspired by Bacharach’s “Make It Easy On Yourself” which had been a hit for Jerry Butler earlier in 1962. I would like to say that I have completely changed my opinion of this song. I find these days when I think of a Beatles song, it just pops into my head. To answer a previous critic, I am a muso. That’s the reason I looked it up in Beatles Bible….it keeps popping into my head and I couldn’t remember the title, I kept looking up I Love you and Tell me Why!! Lennon’s vocal control grabs you and keeps you. Brilliant. There are so many subtleties in this song that I consider this a true masterpiece in every way. I must have listened to this one song thousands of times. Their harmonies literally add three more perfect instruments to the band. here is a live version recorded in Germany as well…..was it The Star Club? Can’t believe no one has picked up on the lyrics on this song. Its not a love song its a cry for help. Lennon , even at this stage feels trapped in a relationship. ‘I can’t conceive, anymore misery’. but ‘Ask me why and I’ll say I love you and I’m always thinking of you’ He lies. No. He’s found “true love” and he can’t believe he finally found it. With it, he can’t conceive of being unhappy any longer. You have to listen to ALL the words. Obviously Pete Best can’t be the drummer on the flip side of Please Please Me as he was fired before Love Me Do!